I hope you all had a fun and crafty weekend! 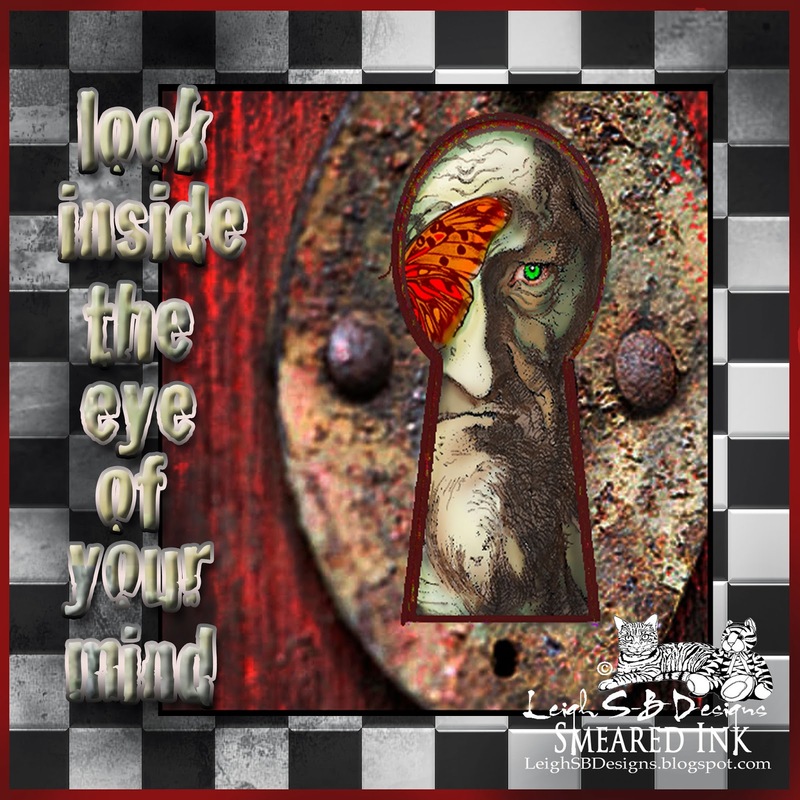 I had a blast working on my 2nd Keyhole inspired creation for Smeared Ink. Like a mentioned last week I'm inspired to create a series of Keyhole Art using digitally altered photos of vintage door keyholes that give you a peek into the strange world beyond. 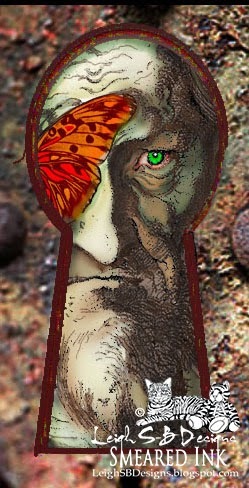 My piece for today has you looking through the keyhole into the eye of your mind....what do you see? This is such a cool concept with the "key hole" idea. I love the details and colors. Awesomeness. Oh this is awesome! I love how the keyhols background fades to the side of the words, and then the Specimen Jar image is stark and vibrant through the keyhole. Such an original concept!